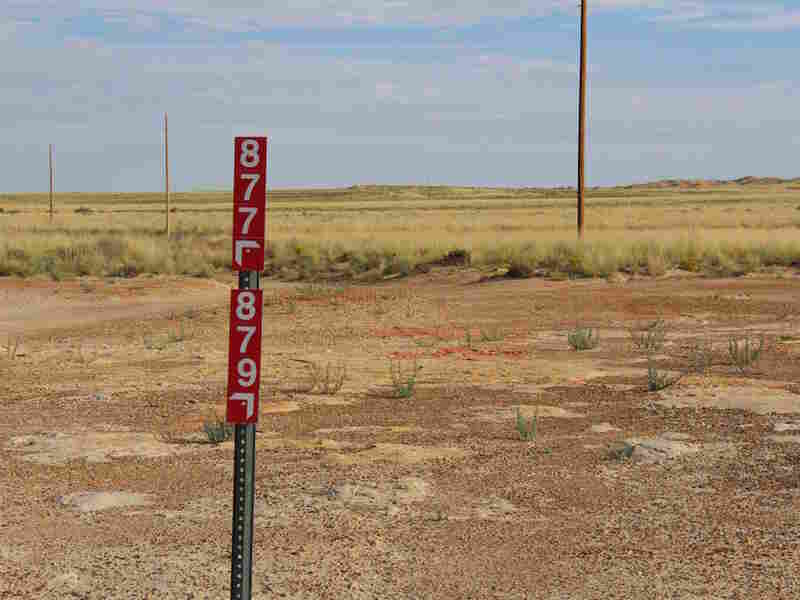 Navigating Navajo Nation Soon To Be Easier For Amazon, Ambulances Formal home addresses can be difficult to find on many Native American reservations. This is problematic, not just when giving directions or receiving packages, but when responding to an emergency. M.C. 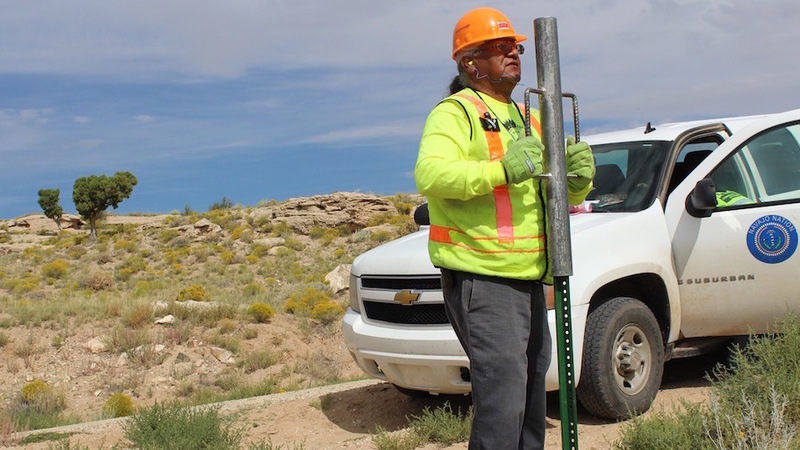 Baldwin, working for the Navajo Nation Rural Addressing Authority, installs a pair of street signs along BIA road 5020. Imagine trying to find a house when your directions sound like this: When the pavement ends, drive a mile and turn left at the school bus stop. Then it's the third house on the right. On the Navajo Nation, Native American-governed U.S. territory, this scenario is common — having a real, physical address is pretty rare. But that's finally beginning to change. Paula Tso lives in a pale blue house at the end of an unpaved driveway. She and her family have set up four homes and a traditional structure known as a "hogan" in this plot of windswept land in northwestern New Mexico. Tso has lived in this area for years and knows it well, but for out-of-towners, finding her house can be a challenge. Residents who used to have to describe where their house was are now getting official home addresses. "My nephew had a girlfriend. And I explained the place — you have to give like 1 1/2 miles off the 5020 — but still, they don't find the road," Tso says. The girlfriend didn't find Tso's house with those directions and ended up 20 miles down the road. While Tso can laugh at that situation, she's concerned this kind of confusion could happen when an ambulance needs to find her home. "We didn't know if they could find this place or even if the police or anybody could find this place," she says. The Navajo Nation Rural Addressing Authority, coordinated by M.C. Baldwin, is making sure that won't be the case for long — but it takes a lot of work to issue an address. First, officials have to drive on tribal roads and simply find people's homes. Then, they figure out what structures are eligible for a number. Not every structure qualifies for an address, like abandoned homes or sheds. Jesse Delmar, the tribe's public safety director, says the lack of home addresses is problematic for his department because the reservation spans more than 27,000 square miles — an area about the size of West Virginia. Officials with the Rural Addressing Authority must go out and find structures on tribal roads like this one to determine whether they qualify for an address. "You have people living at every point. And that's the biggest challenge, is trying to find some of these homes which are way out in the country," Delmar says. He says the issue is compounded by the fact that the Navajo Nation doesn't have an official 911 system that could connect calls with dispatchers who are familiar with the community. Calls can get rerouted to systems hundreds of miles away. But there's an even bigger problem: The computer system at the Rural Addressing Authority isn't talking to emergency responders' computers yet. The two departments have different computer systems, so police don't have access to the addressing data. 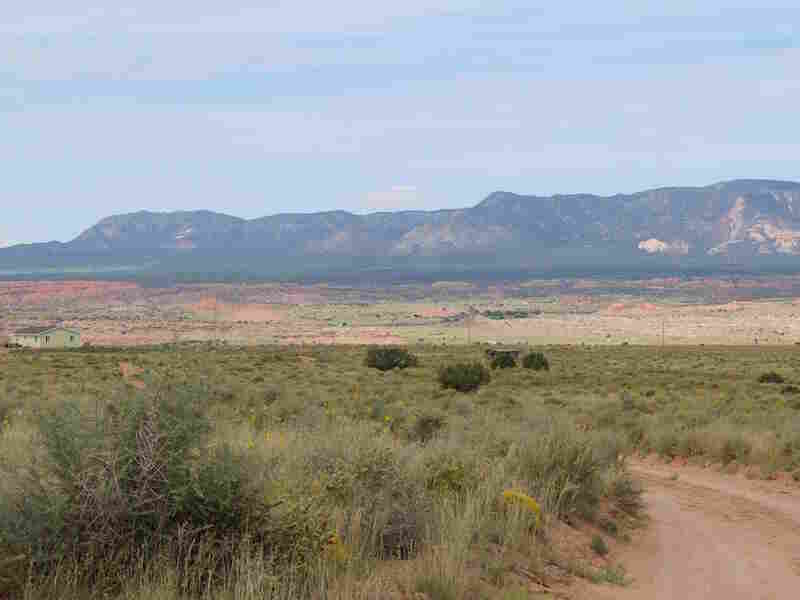 It's a well known issue on the reservation, one that the Navajo Nation is hoping to correct. "We are looking at ways to bridge the communication barriers between all divisions. Not just public safety, but the tribal utility authority and our community health representatives," Jonathan Nez, Navajo Nation vice president, says. Back in the blustery open space of northwestern New Mexico, Paula Tso is starting to get excited about the benefits that her new physical address will bring, like package delivery for her nephew. "He's getting stuff delivered, but he doesn't get it delivered here. He gets it delivered at another aunt's house, so this would be a big help," she says. Having an address also makes it easier for residents of the Navajo Nation to qualify for a home loan and register to vote.